What are different Frequencies of Alerts available? Alerts trigger everyday at the specified time. Alerts trigger weekly on the day specified at the specified time. 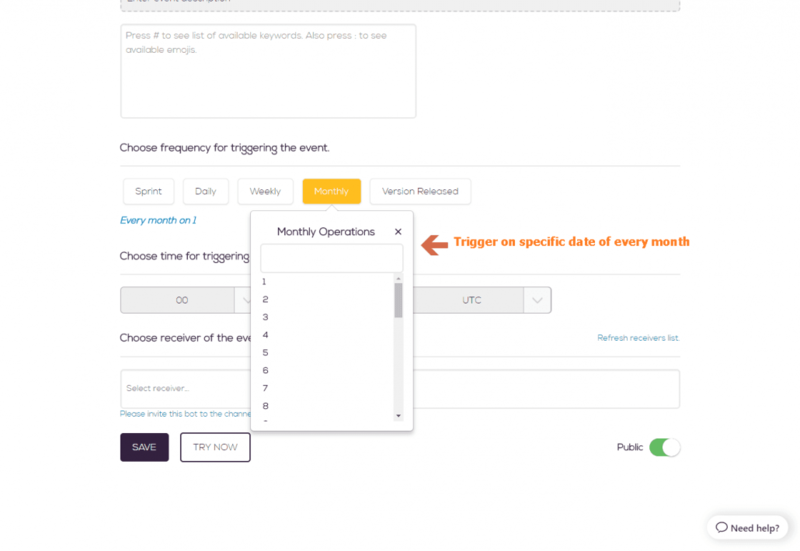 Alerts trigger every month on the date mentioned by the user while creating event at the mentioned time. 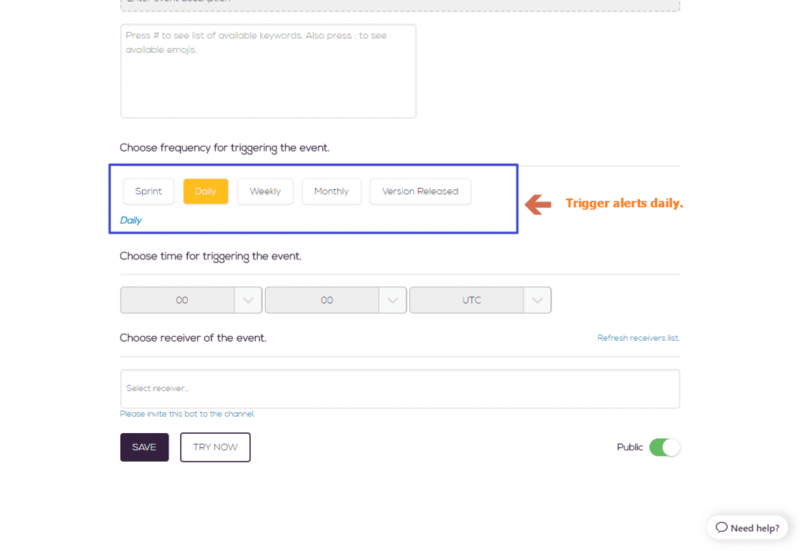 Alerts defined with this frequency are triggered immediately when a version is released from the JIRA. 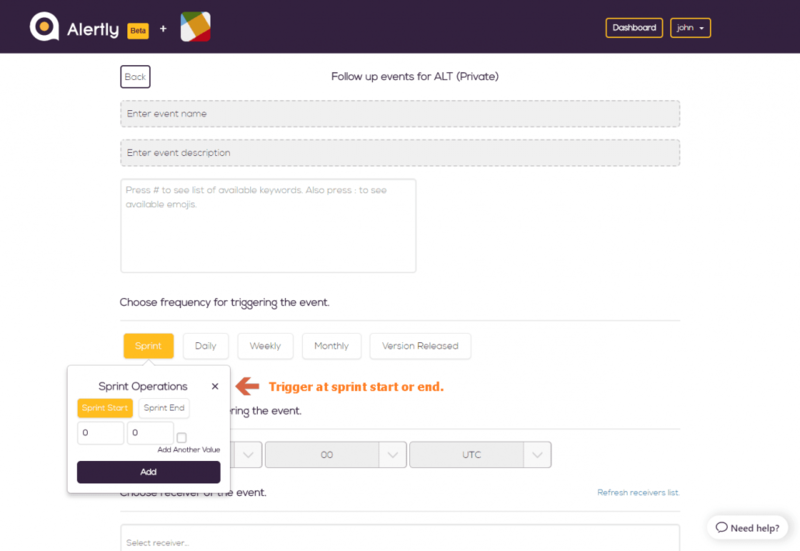 Events can be scheduled to trigger when sprint starts or sprint ends. 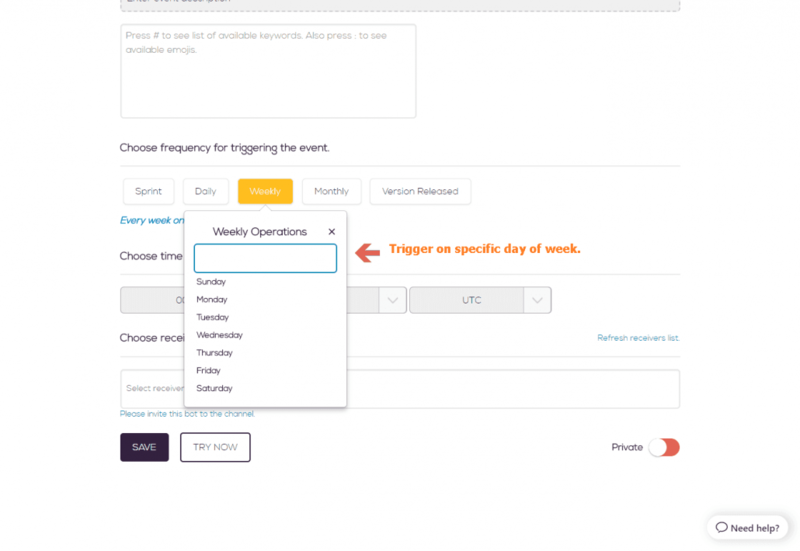 This frequency provides with options to trigger events at certain days from Sprint dates as defined by user. https://alertly.io/wp-content/uploads/2017/11/alertly-purple-beta-logo.png 0 0 Alertly https://alertly.io/wp-content/uploads/2017/11/alertly-purple-beta-logo.png Alertly2017-10-17 05:09:392017-10-17 05:09:39What are different Frequencies of Alerts available? I want to get all alerts in my local time, is it possible to select local t... Is it possible to took action on JIRA issues/tasks from Slack messages?